The current print edition of Working RE was mailed in January. By John Pujol, CEO at SimpleWater, Inc.
Water quality has caught the concern of homebuyers like never before. Consumer demand for home environmental health testing is on pace to triple from 2010 to 2020. It is widely presumed that this $300 million market is in-part due to unfortunate tragedies in public health which have plagued a growing number of water-systems nationwide. All the while, the American Society of Civil Engineers has graded U.S. Drinking Water with a D — practically failing. More than 92% of homeowners have never checked their pipes for lead and according to the USGS, and more than 23% of private wells in the U.S. contain potentially harmful contamination by heavy metals, arsenic and other known risks. 90% of U.S. homes have never had their water tested for lead. 24% of private wells contain at least one harmful toxin. Demand for home testing is on track for 300% growth by 2020 (more than $300 million). More contaminants (regulated and emerging) are making their way into our drinking water due to construction materials, waste runoff and deteriorating pipes. News and data about emerging and even regulated contaminants are bringing long overdue topics of environmental health and water quality into home buying discussions. Home inspectors are expecting to play a bigger role in environmental testing. This quick guide should help you stay ahead of the curve. By selling the right kinds of water testing services you can make money, work faster, and save lives. Your services as an Inspector are critical to every homebuyer’s ability to purchase a home. Whether you keep finance timing on track or help negotiate sales price, your services as an inspector are critical for a potential buyer who is purchasing a home. As a trusted advisor in a significant and often lifetime investment, your services will affect the health and wellness of a family for years to come. This is especially important for chronic environmental health risk management. 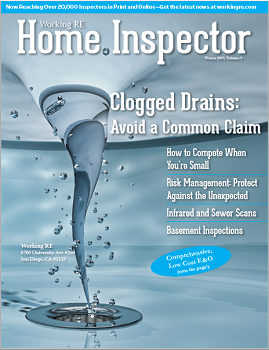 “Inspectors understand how to see a property and they can be relied on to collect samples consistently and accurately, but most important, the financial incentive makes sense for them — home inspectors work a highly competitive field that is built on reputation and service,” says SimpleWater’s CEO, John Pujol. What Makes a Water Test Best For Home Inspectors? Fast – three-five day turnaround time for a full panel of testing. Heavy metals, bacteria, hardness – test for more than e.coli, lead and nitrates. Professional Labs – experienced laboratory testing with EPA methods. Health and plumbing risks – quantified and visualized for every contaminant. 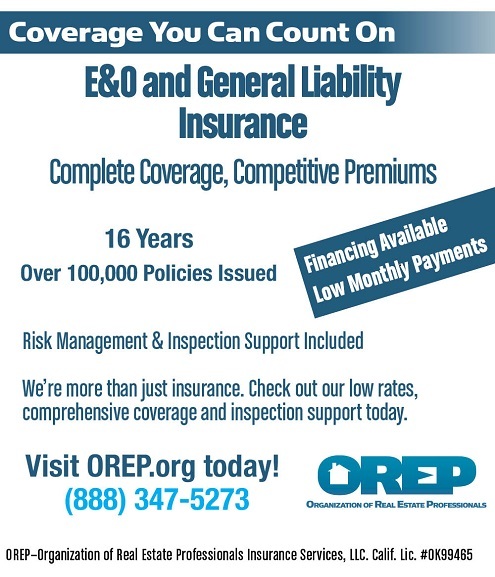 Costs estimated – treatment remediation options costed, identified and explained. Shipping – free and easy to and from the lab. By offering professional testing for dangerous heavy metals, bacteria and other water-borne contaminants, you safeguard your client’s long-term health and reduce your own liability should water quality turn out to be dangerous. With the dramatic rise in demand for home water testing, it has become much easier to offer clients a profitable, easy to perform home water test. More than ever, consumers and families want to understand the toxins they are exposed to on a regular basis. These are called chronic environmental health exposures. Since we Americans spend 90% of our time indoors, it’s important to consistently identify and evaluate potentially hazardous materials and parameters which we may be ingesting on a daily basis. In terms of water testing, the U.S. EPA has a list of more than 100 regulated chemical contaminants (with hundreds more now potentially awaiting regulation). Testing for all of the contaminants is overkill but testing just for lead is not enough. You don’t need to test for all of these parameters for every homeowner but you should be aware that these are the most pressing issues in American groundwater and tap water. If a client has a particular concern not on this list (like Pesticides, or PFAS) then check to make sure your laboratory can perform these analysis. SimpleWater Labs ( mytapscore.com ) offers a range of specialized water quality test. Every water test you sell can increase your earnings by $100 – $900 per home. You can offer all sorts of water testing options by contacting any environmental testing laboratory like ALS Environmental or Eurofins or SimpleWater, Inc. For a complete listing of the Tap Score testing options go to MyTapScore.com. Always provide your home-buying clients with at least one water testing option. If they do not accept this offer, mark it down in your home inspection report. This protects you from any future liability if lead or other contaminants are found in the home’s piping. Collecting a water sample and sending it in the mail should not take more than a couple of minutes. Any good water testing lab will provide you with a free return shipping label so that you can drop the sample in any mailbox for pickup. Results should be emailed to you within seven days. If a home has a private drinking water well then the water is often required to be tested for many things, including water hardness and metals (lead, iron, arsenic, cadmium, manganese, etc.). You can test well water by contacting an environmental testing laboratory. For instructions on properly collecting your water sample from a kitchen tap or directly from a private well, speak to your laboratory project manager. Award-winning Berkeley scientists and engineers at SimpleWater, Inc. have launched Tap Score Pro, a laboratory testing product for home inspectors to offer buyers an easier way to assess the health of a home’s water quality and other environmental health risks. The mission at Tap Score Pro is to make it easier than ever before for Inspectors (and buyers) to test chronic water quality health risks in American homes. Frightened of lead, arsenic, heavy metals and other emerging contaminants, homebuyers want fast, affordable, and reliable home health testing with personalized solutions and remediation cost estimates. “Conventional lab testing can be pricey, confusing, time intensive and leave folks wondering what to do next, and how much remediation will cost. We want to make it easier for everyone to get professional results more quickly and more affordably,” says Pujol. For a long time, access to comprehensive laboratory testing has been complicated, expensive and time consuming. SimpleWater, aims to change that. Christopher Casey is the President of Monroe Infrared, a national provider of Infrared Thermography and sewer scoping products and training. Monroe Infrared is also the exclusive distributor of EasyCAM sewer inspection cameras, which have reliable, durable, cutting edge technology, stronger push cables than the competition & are most importantly: Owner Repairable. Visit www.monroeinfrared.com for more.